Shopleadly applies the smartest e-commerce technology to make the consumer shopping experience easy, efficient and fun: find the ideal price for Carrera Chevrolet Corvette at the ideal store. Start your shopping at Shopleadly and browse Carrera Chevrolet Corvette at all the leading online stores in the world. Find the cheapest & discount price. The Carrera GO!!! 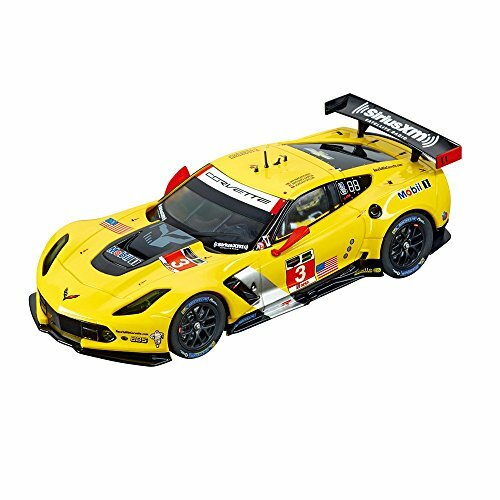 Chevrolet Corvette C7.R "No.03" makes the perfect addition to your slot car race track set. This 1:43 scale analog vehicle is tampo-printed with full details to look exactly like the original car with added durability. Take the control and feel like you're behind the wheel! Bottom of car is fitted with double contact brushes and strong downforce magnets making it easier for beginner racers. This GO!!! Analog Vehicle will only work on the GO!!! tracks. It will not work on a Digital 143 track.About Carrera: For over 50 years, Carrera has brought the thrilling world of motorsports into homes around the world. For both beginners and experienced racers, Carrera slot car tracks and cars provide the most realistic racing action. Carrera makes the dreams of racing drivers come true - however old, however young! 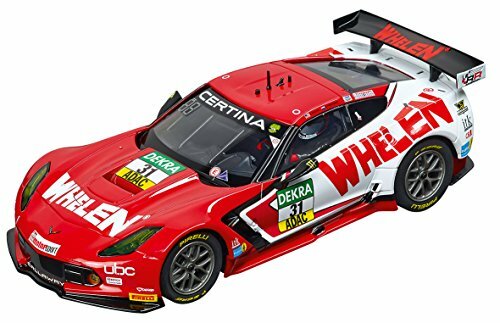 The Carrera Evolution Analog Chevrolet Corvette C7.R "Whelen Motorsports No.31" Vehicle makes the perfect addition to your slot car race track set. This 1:32 scale vehicle is tampo-printed with full details to look like the original car and provides durability. You'll feel like you're really behind the wheel! The vehicle is powered by a inline E200 motor and contains double traction magnets. This analog vehicle will run on any analog track set. It is also Digitally Adaptable and will run on a Digital 132 slot car track only if you purchase a digital decoder chip. About Carrera: For over 50 years, Carrera has brought the thrilling world of motorsports into homes around the world. 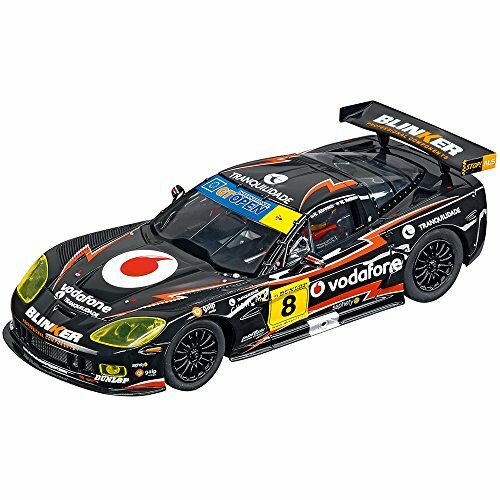 For both beginners and experienced racers, Carrera slot car tracks and cars provide the most realistic racing action. Carrera makes the dreams of racing drivers come true - however old, however young! Carrera Evolution Chevrolet Corvette C7.R "No.3"
Carrera Digital 132 Chevrolet Corvette C7.R No. A legend returns The Corvette Sting Ray was a Chevrolet-manufactured legend. The name came from the pronounced arrow shape of the front and tail that are vaguely reminiscent of the aquatic stingray. In 2014 the Stingray celebrated its comeback with a thrilling blend of technology, design and performance. 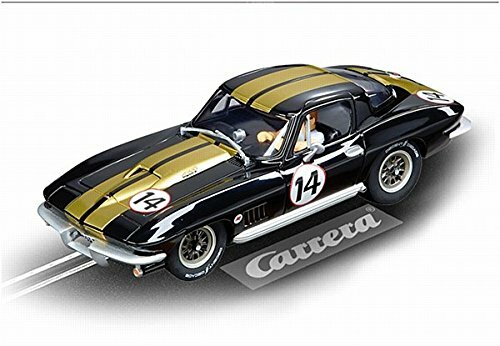 The Carrera DIGITAL 132 Chevrolet Corvette Sting Ray "No.14" slotcar impresses with faithfully reproduced details. This Carrera car can be individually coded; it's digitally controllable and guarantees hours of racing fun. 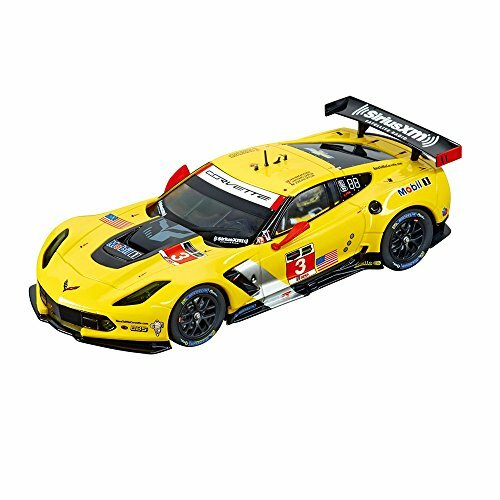 The Carrera Digital 124 Chevrolet Corvette C7.R "AAI Motorsports, No.57" Vehicle makes the perfect addition to your slot car race track set. This 1:24 scale vehicle is tampo-printed with full details to look like the original car while adding durability. Featuring working front headlights and brake lights along with realistic acceleration and braking action, you'll feel like you're really behind the wheel! This Digital 124 vehicle is digitally controlled and individually codable and will work on Carrera's Digital 132 and 124 tracks as well as Evolution or Exclusive Analog Tracks. About Carrera: For over 50 years, Carrera has brought the thrilling world of motorsports into homes around the world. For both beginners and experienced racers, Carrera slot car tracks and cars provide the most realistic racing action. Carrera makes the dreams of racing drivers come true - however old, however young! 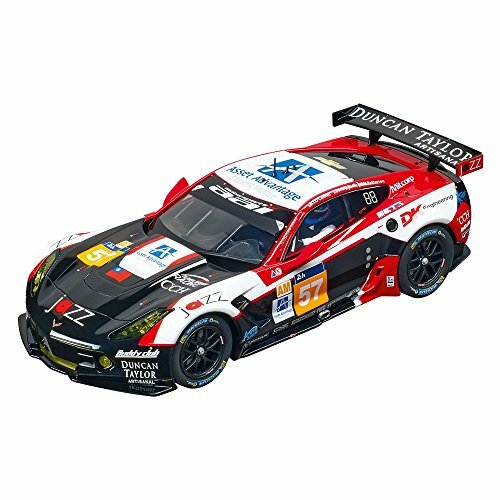 One of Carrera's top selling systems, Carrera Evolution 1:32 analog scale cars are user-friendly enough for children 8+ yet challenging for even the most experienced tournament-level slot car racers. Standard features include an inline E200 motor and double traction magnets, high-quality original detailing and tampo printed liveries for superior durability and clarity. 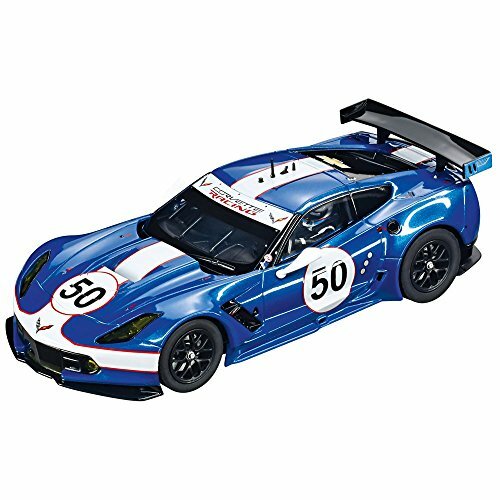 Customers who bought Carrera Chevrolet Corvette also bought Dimmable Spiral Cfl, Godsmack Poster, Baritone Bass Guitar - you may also be interested in these popular shopping ideas. 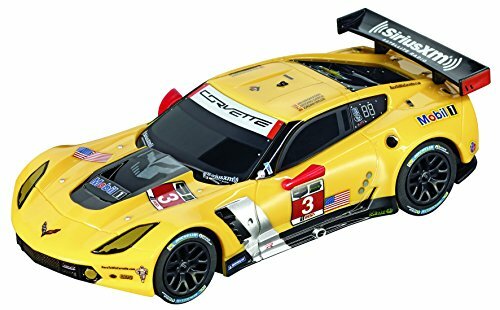 Test Drive Carrera 30701 Chevrolet Corvette C7.R "No.03"